Samsung Electronics has posted its slowest quarterly profit growth in more than a year as the sluggish global smartphone market weighed on earnings, although the chip business continued to perform well. Operating profit for the world's biggest chipmaker and smartphone maker rose 5.7 per cent to 14.9 trillion won (US$13.3 billion) in the second quarter, Samsung said in a regulatory filing, compared with 14.8 trillion won it had estimated. The Apple components supplier and smartphone rival said operating profit from the mobile business sank 34 per cent from a year ago, and warned of stiffer competition in the second half due to the release of new models. The South Korean tech giant added however that demand for memory chips, its biggest earnings contributor by far, would remain strong in the second half thanks to the growth of server data centres. Revenue for the April-June period fell 4 per cent to 58.5 trillion won, broadly in line with Samsung's earlier estimate. Samsung's difficulties in the mobile market, which accounts for about 40 per cent of its revenue, have been exacerbated by its recent lack of innovation to drive sales of its premium Galaxy series gadgets. The mobile business booked 2.7 trillion won in quarterly operating profit. Samsung's chip unit posted a record 11.6 trillion won operating profit, up 45 per cent from a year ago. 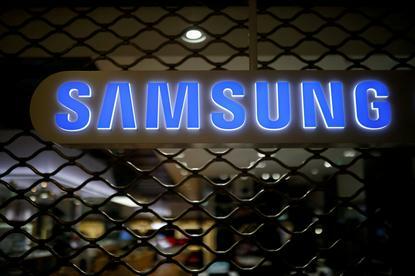 Samsung shares were down 0.5 per cent in early trading, compared with 0.2 percent drop in the broader market.